Dark circles under your eyes can dampen a perfectly good day, making you look down when you’re feeling good. They can also betray the fact that you’re tired when you want to look ready to go. There are many reasons why we get dark circles under our eyes, and many ways to get them out of your life. Over time, skin loses its ability to produce as much collagen as when we were younger, which is what keeps our skin plump and youthful. Lying in the sun without protection speeds up this process by exposing skin to damaging, collagen-destroying rays of sunlight. 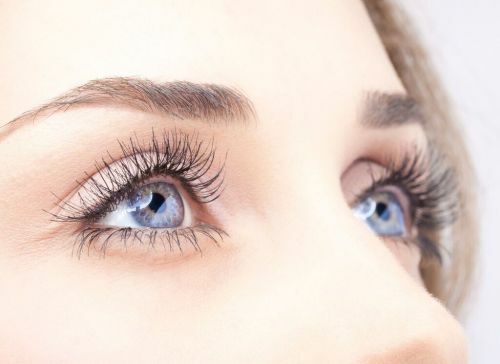 Light or thin skin below your eyes is a product of your DNA. The lighter your skin, or the thinner it is, the more obvious a lack of sleep becomes as blood pools under the thin skin. This one is easy to deal with! Treating your allergies reduces itching, discomfort, and treats puffiness that doesn’t need to be there. Histamines are released by seasonal allergies, which cause blood vessels to become inflamed, resulting in swelling in your most sensitive area: beneath your eyes. With these causes in mind, treat your dark circles by targeting the cause. If thin skin is the cause, consider collagen-building treatments, such as Juvederm, to improve collagen production. Good sleep helps, but only in improving your sleep posture. Sleep more upright by adding an extra pillow. Less blood will pool under your thin and sensitive under eye skin. If you have allergies, take anti-histamines. You have allergies!